(This article was originally published in the 15-28th February, 1993 issue of Down To Earth and was republished in the 27th anniversary issue). 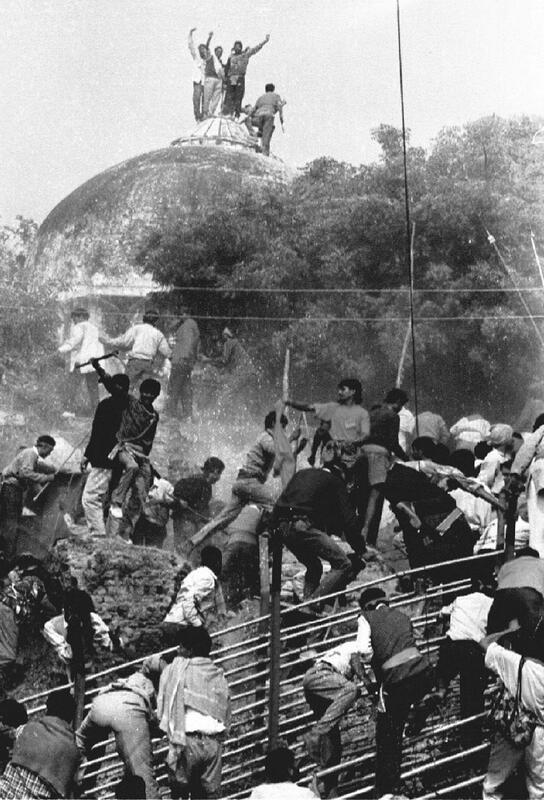 During the past few months, India has suffered the traumatic experience of being rocked by communal disharmony and large-scale urban violence in the aftermath of the demolition of the Babri Masjid. The country’s law-and-order machinery has failed to stem the rioting, which has taken a heavy toll of lives and property. The mindless violence has been widely criticised abroad and shattered India’s image of a non-violent nation. Communal harmony clearly cannot be handled exclusively as a law-and-order problem. In its reliance mainly on the law-and-order machinery, the Indian state has neglected the promotion of community initiatives. It has focused its attention mainly on developing and marshalling its own strength, often at great expense to the exchequer. Nevertheless, in times of crisis, a constant complaint of law-and-order authorities is that their resources are inadequate. Not unlike a forest department that would like to post a guard at every tree or of wildlife agencies clamouring for virtually a guard for every tiger, the police would like to station a picket at every Hindu house in a Muslim-dominated neighbourhood and vice versa. Even if this was not clearly impossible, it still does not guarantee protection because with the communalisation of the political process, there is no guarantee that the law-and-order administration will remain neutral. Because forest guards alone are no guarantee that a forest can be saved, environmentalists have sought a solution in what they call “social fencing”. Their experiences show natural resources can be protected, used and shared in a disciplined and cooperative manner not because of state fiats but through village-level negotiations, discussions and bargaining. And because protection of the environment gives greater economic returns to the entire collective, divisive issues are sought to be resolved through consensus. This is definitely not the “Amitabh Bachchan-Bollywood” approach, which features a superhero who is a lumpen at one level, ever ready to fight and smash, but an angel at another, equally ready to protect and nurture—while everyone else in the film waits and watches. No wonder then that the Indian state has never attempted to build an intermediary tier between itself and the individual. The neighbourhood, which is the level at which participatory politics can take birth and grow, is the level which allows the individual to participate and negotiate directly instead of as a merely passive voter. It has been consistently neglected in the building of development institutions in the post-Independence period. If community-level initiatives have emerged at all, the state’s response has been mainly to limit them sectorally and temporally. In effect, when a neighbourhood initiative has been taken to preserve communal harmony, the bureaucracy has generally preferred to see it restricted to a single issue and to the period of crisis. Beyond these parameters, a neighbourhood initiative, however powerful, is treated by officialdom as a nuisance and dealt with in a patronising fashion. The challenge facing India today is in many ways the biggest challenge facing the entire world. Ecological diversity has given rise to an extraordinary cultural diversity the world over. But technological progress has unleashed an extraordinary process of global cultural homogenisation. But cultural diversity is as much a law of nature as biodiversity and needs to be equally respected. Only social processes can deal with technological progress and absorb it in a way that maintains cultural diversity—with equal respect for all cultures. Proud Hindus must learn to coexist with proud Muslims, just as harmoniously as proud Gujaratis must learn to coexist with equally proud Nagas. This is not simply a matter of education and knowing about each other’s rationality and respecting each other’s modes of behaviour. That, too, is important. It is also a matter of live mechanisms that promote dialogue and discussion between neighbours of different cultural, religious and other perspectives, so that mutually beneficial adjustments can be promoted. A million dialogues in a million neighbourhoods will generate far more integration, mutual co-existence and social stability than dialogue amongst only the national political parties. And, furthermore, if dialogue among the political parties fails, it will be the absorptive capacity of the million, neighbourhood-level dialogues that can preserve stability.